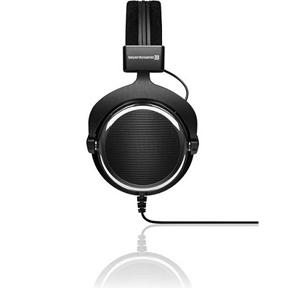 Beyerdynamic T90 Chrome Exclusive Limited Edition Audiophile Headphones. These headphones features elegent design, high-quality soft touch surfaces, and high-gloss chromated bezels. As all premium headphones from beyerdynamic, the T90 Chrome Exclusive Limited Edition Audiophile Headphones are also made in Germany. The open design gives the headphone a spatial sound and does not isolate the user from the environment. Due to the Tesla technology, the T90 Chrome Exclusive Limited Edition Audiophile Headphones provides highest efficiency and lowest distortion. Silky-soft head and ear pads made of microfiber ensure comfort when wearing. The T90 Chrome Exclusive Limited Edition Audiophile Headphones is supplied with a rugged hard case to store the headphones. The exclusive, noble design of theT90 Chrome Exclusive Limited Edition Audiophile Headphones impresses with its black soft touch surfaces, high-gloss chromed bezels and yokes made of massive anodised aluminium. The soft headband and ear pads ensure a convenient comfort when wearing. 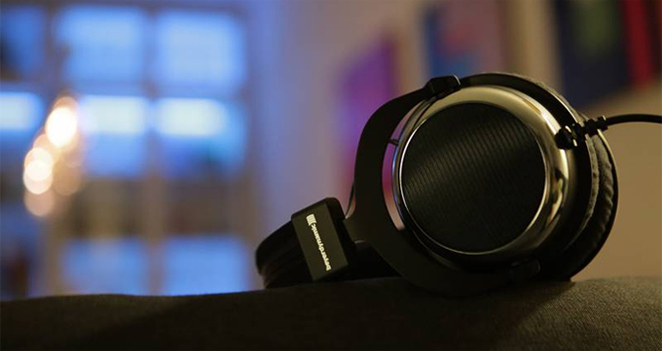 The new, elegant, black hard case protects the premium headphones against dust and shocks. CD from Chesky Records Dr. Chesky's sensational fantastic and simply amazing binaural sound show!